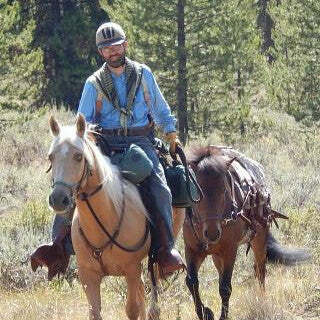 Can you imagine galloping your horse running cross-country, through field and forest? As you gallop along, you begin to steer the horse using your body weight and leg pressure. Up ahead you see a target approaching in the distance. You grasp your bow, dropping the reins and load an arrow. You pull back your bow-string to full anchor, and then you release. SMACK. 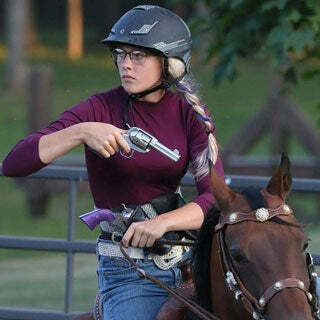 You just hit a target as you speed by with your horse. 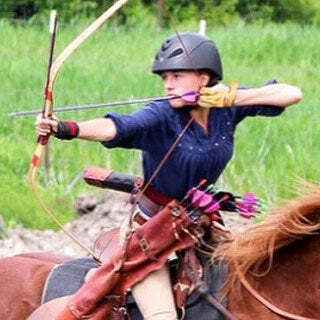 My name is Gracie Allee and I am a Mounted Archer. I've been riding horses for as long as I can remember. 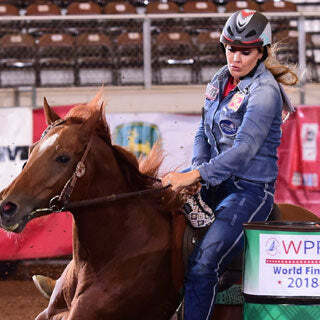 I took many years of English riding lessons that were a combination of dressage and jumping, and I did a couple years of western riding as well which included barrel racing and western pleasure. 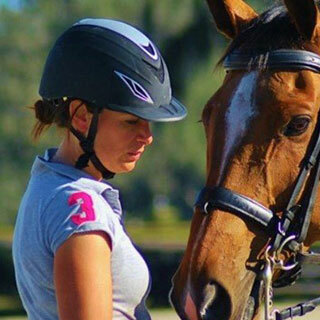 I loved sporting my favorite Troxel Helmets in every style of riding. With my family I moved all across the country my whole life. This meant that I had to ride what I could, where I could and struggle to achieve goals in all the different programs I was able to enter. I was able to own my first horse about two years ago. Before that I would ride friend’s horses or lesson horses. I started my archery adventure a little over three years ago with a recurve bow shooting Olympic style archery in an indoor range. Horseback archery had not even come to mind yet. Then after moving to South Texas I found a local stable that taught mounted archery. After taking my first lesson, I realized that my Olympic style of archery would not be suitable for horseback. With the help of my coach, Trey Schlichting, I learned "Martial Archery", a style of archery that was used for hunting and warfare in historic times to shoot off the horse and begin my mounted archery journey. Before I was actually ready, I started competing around the country entering in as many state competitions as I could. After my first six months of mounted archery I got my first horse Diana. Diana is a six-year-old Egyptian Arabian. When I bought her she could not collect at the canter and hated the sound of the bow shooting from her back. It took many months of training before she would not run from the sound of the bow. It then took many more months before she was comfortable with being shot off of. 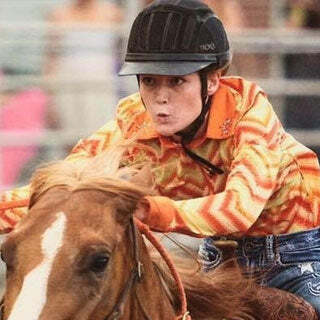 Today she has become a great archery horse for both horseback field archery and sports track archery. Horseback field archery is a type of mounted archery that has no barriers. This requires the rider to be able to communicate clearly with their mount using body weight and leg pressures in order to make turns. Sports track archery is where the horse has a barrier on ether side. They are typically straight line courses but some can have turns. When I compete out of state, I typically do not bring my horse with me. In the culture of mounted archery, horses are to be shared by local athletes with out-of-state or international competitors. It means I have to adapt to a new pony and create a connection in a short amount of time. Also, when I compete, I'm a 16-year-old girl shooting against adults in a sport and martial art that is measured in skill, not age. I always felt like an underdog struggling to win. 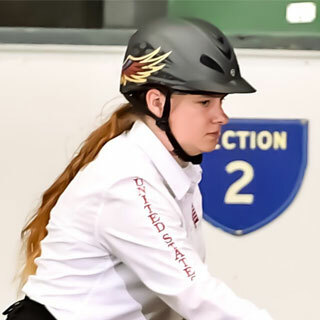 After my first year of horseback archery and competing around the country, I attended the International Horseback Field Archery Championships near Detroit Michigan. In that competition I took Reserve Champion getting me a spot in the United States Cultural Heritage Team. The Cultural Heritage Team is a select group of individuals from around the country that compete in international events representing the United States with equipment and bows that represent the North American frontier. The following October of 2018 I flew with the Team to South Korea to participate in the World Horseback Archery Championships. The organizers of that year’s world event encouraged me to compete in the youth division. It would give me my best shot at winning a metal. However, I just could not do it. I had to compete against adults just to get my spot on the team, I was not about to take the easy path once I got there. It payed off. While I did not win any metals, I finished in the middle of over 80 international riders gaining confidence and much needed experience along the way. 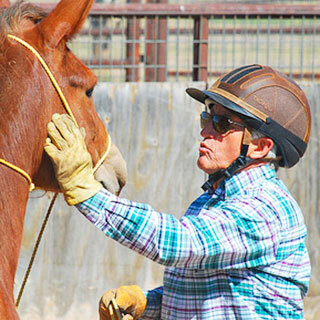 Now thanks to my coach and all the other people that supported me in my Mounted Archery aspirations, I am a "WHAF" (World Horse Archery Federation) instructor and teach Beginner-Advanced clinics around the country. I recommend that all of my students buy a Troxel, because they fit great, are super comfortable and have a low profile which keeps them from getting in the way of the bow string when it is drawn back to shoot. Not to mention they look amazing! This spring, I will begin my mounted archery competition season with the Texas International Horseback Archery Festival. In June, I will be going to Tennessee to compete in the International Horseback Field Archery Championships. Then in August, I will travel to South Korea to partake in The World Martial Arts Masterships as one of four select riders from the United States. Then I travel on to Mongolia to compete in the Mongolia Open. In all of these events I will be representing the United Stated Cultural Heritage Team. I want to acknowledge that a major part of my success is from being able to ride confidently all over the world in my Troxel Helmet. Knowing that when I fall, Troxel has given me the best chance at avoiding a serious head injury. If you are interested in getting into the sport of mounted archery please check out my personal Facebook page or visit the United States Cultural Heritage Team on Facebook. You can also find is on Instagram @Graciehorsearcheress or @U.S_cultural_heritage_team. 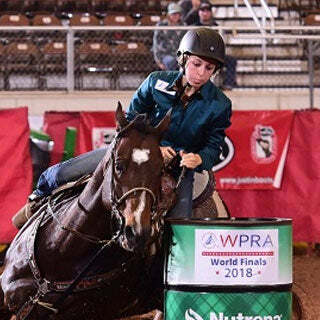 "When I travel to compete both domestically and abroad, I'm almost always competing on a strange horse that I had met only a day before. My Troxel helmet provides me the comfort that I have adequately protected my head while I gallop a new horse hands free. All while wearing a helmet that represents the United States."